In mid 2012 we were approached by a business acquaintance that asked us if we would like to be recommended to be on the Branham300 2013 list. We had heard of Branham300 but didn’t know the specific details of what they did. Intrigued by this opportunity I set off to research and learn all about Branham300. Branham has been around since 1990 and “provides “Go to Market” direction to the global Information Technology products and services companies; particularly those that want to harness e-Business opportunities.” They act as an information channel for the future of business in a wired world, helping clients understand and leverage emerging and emergent technologies. We were honoured to be nominated for the Branham300 list and went ahead with our application. 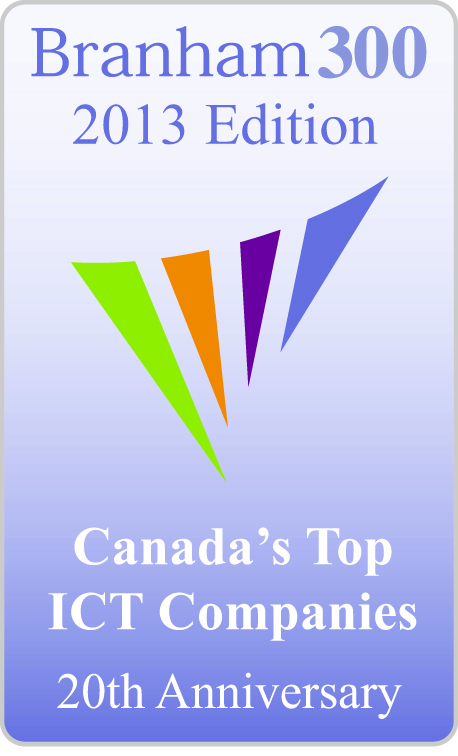 The particular category we were being nominated for was the “Top 25 Canadian Up and Coming ICT Companies”. Companies in this category are selected based on creativity and innovation whether in a new technology area or optimizing existing technology in an innovative manner. We sent in our application for the awards and crossed our fingers that we would hear good news. A few months later we were informed that not only were we selected to be on the “Top 25 Canadian Up and Coming” list but we had also been selected for the “Next 50 Canadian ICT Companies” list. Being a mobile app developer in Saskatoon we were honoured to be among so many great Canadian companies in these categories! 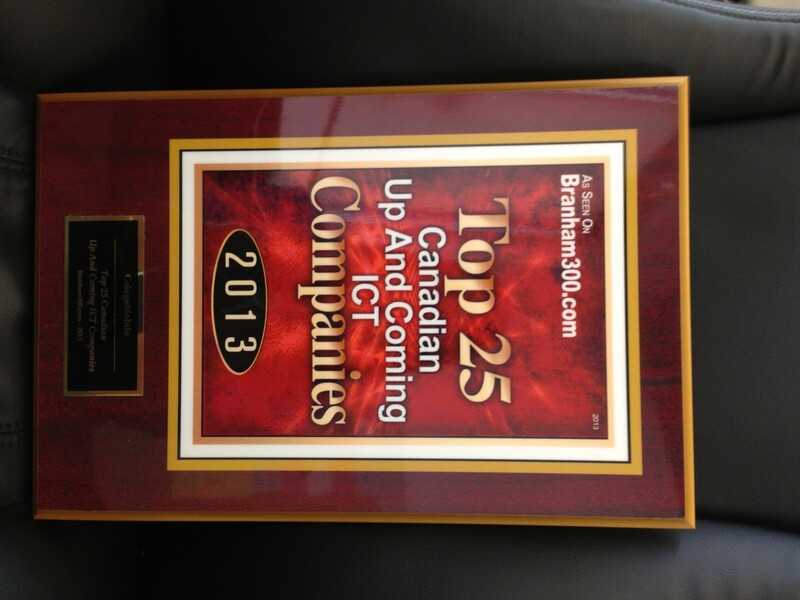 We are thrilled that we were recognized as being an up and coming company and proud of our accomplishments. Being placed on these lists further motivates us to challenge ourselves and continue to develop top quality, customized native mobile apps. A few days ago we received our Branham300 plaque in the mail and will be looking for the perfect place in our office to hang it.